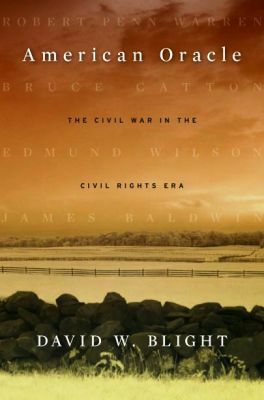 I am reading David Blight’s new book on the Civil War Centennial in which he analyzes the writings of Bruce Catton. While I’ve read chunks of Catton in the past I am embarrassed to admit that I’ve never actually read one of his books from cover to cover. Well, I just started A Stillness at Appomattox and I can’t put it down. He was one hell of a writer. David W. Blight, American Oracle: The Civil War in the Civil Rights Era (Harvard University Press, 2011). E. Renee Ingram, In View of the Great Want of Labor: A Legislative History of African American Conscription in the Confederacy (Willow Bend Books, 2002). Brian D. McKnight, Confederate Outlaw: Champ Ferguson and the Civil War in Appalachia (Louisiana State University Press, 2011). James Marten, Sing Not War: The Lives of Union and Confederate Veterans in Gilded Age America (University of North Carolina Press, 2011). Timothy S. Sedore, An Illustrated Guide to Virginia’s Confederate Monuments (Southern Illinois University Press, 2011). I am also reading _Stillness_ for the first time, and I agree, the writing is amazing. In my opinion, Catton’s prose is much better, richer and clearer, than Foote’s, of whose writing I have never been a fan. I was struck by the emancipationist tone early on as well as the description of the slave that Kilpatrick executed after he failed to lead the cavalry to the proper place to ford the river. When you have a chance, read “The War Lords of Washington” – Catton was New Dealer and I think that view of America and Americans was a great part of what makes his writing on the Civil War so compelling. Sure – nice to be able to contribute something. It is an interesting book – very clear take on the WW II mobilization as an abandonment of the principles of the New Deal; part of my interest in labor history. Did you have a chance to see Blight’s address at NC’s 150th symposium? He talked a lot about the idea of an “oracle” and Bruce Catton. Thanks. I posted it to the CWM Facebook page. I finished the section of the book on Warren, but I thought it might be a good idea to read some Catton before proceeding. Thanks Tom. As a general reader, I thought Catton just owned the ACW with his 3-volume Centennial History until McPherson’s Battle Cry of freedom came out. Are there any other general histories of the whole war that you would put in the same class? I agree with all of the praise of Catton. He is one of my favorite Civil War writers of all time. I am a huge fan of the Army of the Potomac trilogy, his masterful two volumes on Grant, and the three volume general history of the war. He was truly one of the greats. His eye for anecdotes was great. Rereading ‘Stillness at Appomattox’ is always very moving.